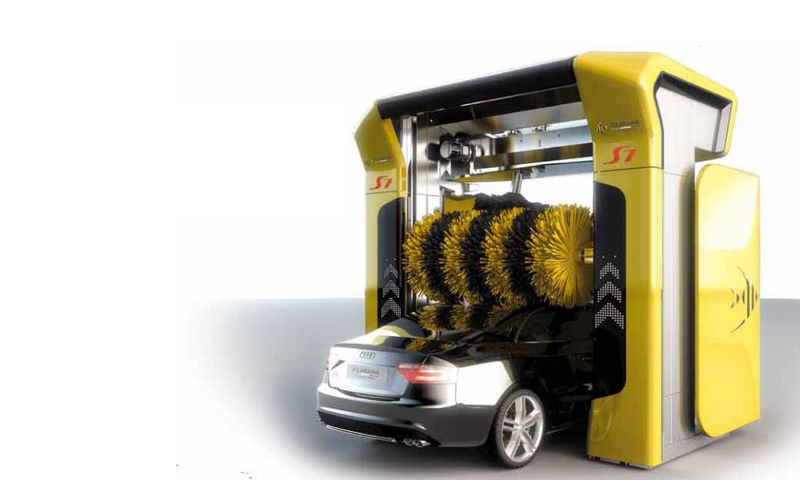 We can, together with our supplier Aquarama, offer solutions for all requirements regarding vehicle washing. 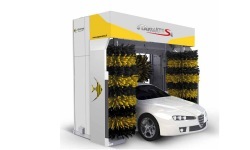 Car wash equipment with the latest technology, to ensure the best washing results and gentle touch. Along with the machines, we can also provide new washing facilities, or restoration of equipment. The entry-level model with the same advanced technology as the other models in the Stargate series. Washing portal for the smaller facility with a turnover of 300 washes per month. It is a cost-effective machine that allows even the smaller plant can recoup an investment of a new car wash. Modern attractive design that allows customers to directly see that it is a new machine, and with its washing results complement the experience that they have chosen the right place to wash their car. Satisfied customers always come back. Washing heights up to 3.10 meters, and width up to 2.52 meters without wheel brushes. The model in the Stargate series adapted for most needs. Options list allows the machine to suit even the great facility with the most demanding customers. Unique washing and drying results. This portal machine has everything. Overlapping tilting side brush, contour following top dryer, contour following top HP, brushes with integrated high pressure wheel washing, etc. Powerful high pressure on both sides and roof that removes coarse debris before brushing tools vehicle, ensuring minimal impact on the painted surfaces. Machine appealing design with recognized good washing results, creates a basis for satisfied repeat wash customers. Washing heights up to 3.10 meters, and width up to 2.52 meters without wheel brushes. The flagship of the Stargate series, which despite its appearance and its comprehensive technology, is sufficiently cost effective for the washing more than 700 washes per month. This portal machine is all you need to their facility. Washes quickly and effectively with highly efficient drying. 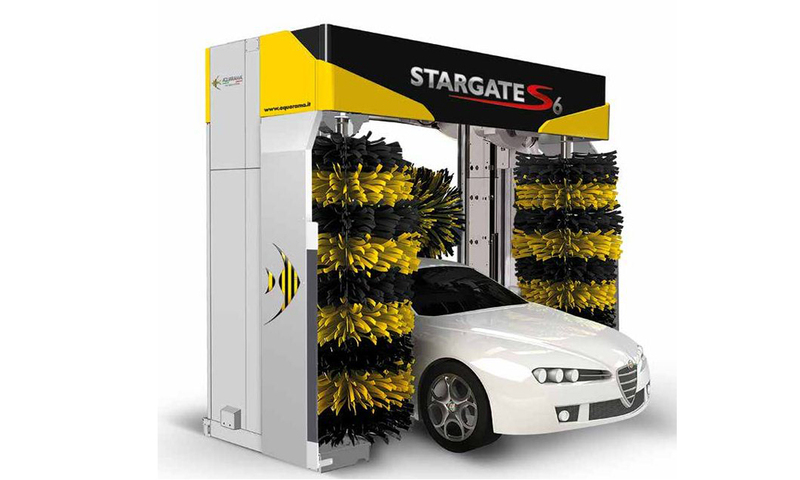 Stargate S7 has the same features as the Stargate S5, but beyond this is also a very complete option list in which even the market is probably the most powerful high pressure can be easily applied to the machine's other functions. Washing heights up to 2.80 meters, and width up to 2.42 meters without wheel brushes.